• First, employees aren’t slaves. The competitor does not have the right to prevent the employee from working at a competitor’s business. 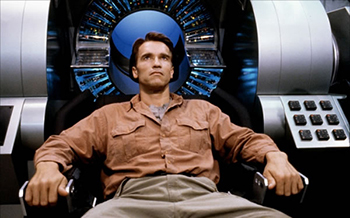 Moreover, the employees aren’t required to have a lobotomy performed or go through the memory wiping machine “Rekall” in the film “Total Recall” to wipe out the employees memory of proprietary confidential information. • Second, the employer should have a written policy that no employees may take a competitor’s trade secrets, including customer lists, sales reports, or other financial information. Doing so would be grounds for immediate termination. • Third, the employer should carefully screen new hires to insure that they are not bringing with them proprietary confidential information, such as customer lists. Their laptops and cell phones should be surrendered to the competitor or wiped clean. The employer should insure that the new employee brings nothing more than a pencil from the competitor. This is common sense because if the salesperson is really good, he’ll remember his contacts (or can find them independent of any trade secret documents). • Finally, hiring an employee that admits taking proprietary confidential information may buy the employer a lawsuit, and more importantly, if that is the moral culture the employer is fostering, that employee will quit and will take your proprietary confidential information with him/her. Does Your Company Have a Policy for B.Y.O.D. Cell Phone Use?